Lee Holtzman began his Real Estate Career in Lewisville Texas selling homes over 29 years ago with this office in Central Denton County as the "Rookie of the Year" and has been the Top Producer ever since. He has been using Fairway Mortgage, who has their own in-house loan officer in his office and they have approved many borderline buyers and put more families in homes than any other home loan company in the Denton County area! Hundreds and hundreds of transactions later, and over 900 hours of education under his belt, he has earned his nick name of "Mr. No-Surprises". Lee has also earned the prestigious Re/Max Hall of Fame award and the designations of SFR (being certified in short sales & foreclosures) and the ABR (an Accredited Buyers Agent). He sells residential and commercial Real Estate besides lots, land and lakefront homes. The Town of Lewisville is located in I-35 which allows easy access from the City of Dallas up to the City of Denton and beyond. It will soon be a 10 lane highway. 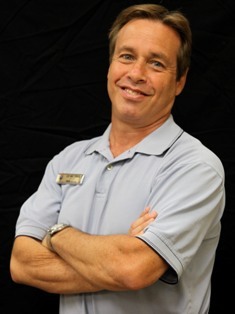 Lee has lived in the Lewisville, Flower Mound, Highland Village area he works in for over 35 years. He has 3 boys and has been a Boy Scout leader with the Boy Scouts of America for over 13 years. As a matter of fact, Lee & his wife originated �Camp Tonkawa� which is the ONLY outdoor education center in North Texas for children as well as adults to learn all about nature, survival skills, horses, Indian Lore & more! The Lewisville, Flower Mound & Highland Village area has so much to offer with bordering Lake Grapevine and Lake Lewisville. There are several camping and fishing areas besides swimming & areas to jet ski. Lee's motto is: �If you call me I'll answer�. Too many times when people try to reach an agent they get put into voice mail jail. Lee answers his phone just about all of the time and should you get voice mail he is prompt to return your call. Lee's track record is flawless having received several testimonials never being in the Denton County or Dallas County Real Estate court rooms. You can be assured that your biggest financial transaction is safe in his hands. You can reach Lee at his easy to remember number 972-317-HOME (4663), his email of LHoltzman1@gmail.com or view his listings and search for any other at www.LeeHoltzman.com.